Hollywood has gone to the dogs (and cats, and pigs, and monkeys). Now more than ever, pint-size (or larger-than-life) animals are stealing the spotlight from their owners. Here’s our list of the pets that have become A-listers in their own right. After surviving a kidnapping from Paris Hilton’s home in 2004 (during a botched robbery), Tinkerbell has once again stolen the spotlight from her diva-ish master. Dubbed “Accessory Dog,” Tinkerbell has been to dozens of A-list events, including galas like the recent benefit for Pets of Bel Air. 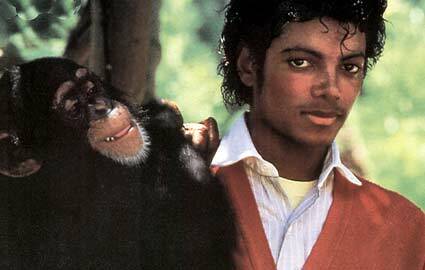 Adopted by Michael Jackson in 1985, Bubbles was a constant member of the singer’s entourage until the late 80s. The chimp was seen at concerts, recording sessions and even dinner parties. Almost 30 years later, Bubbles still lives the pampered life: He was entrusted to the Center for Great Apes in Florida after becoming too aggressive for domestic life. It’s hard to believe George Clooney found love with a potbellied pig, but he did — and for almost 19 years. 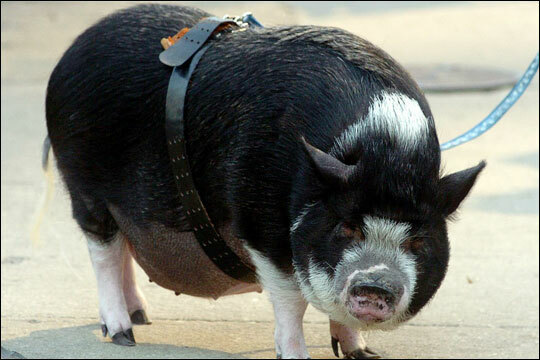 Max, the 300-pound piggy, was a constant companion to the sexiest man alive until the little porker passed away in 2006. Until his untimely death, Max could be seen taking rides in John Travolta’s private jet, lounging around Clooney’s Italian estate or cuddling up to Clooney in bed. 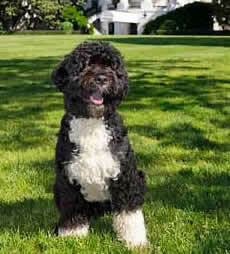 Bo may be new to the fame game (after his recent adoption by the First Family), but we’re sure we’ll be seeing a lot of him in the upcoming press. Already, there’s a Bo Beanie Baby, water bowl and teddy bear — and he just recently posed for his first official White House photo. What’s more important to Katy Perry than her singing? Her cat, Kitty Purry. The fancy feline, who has been by the singer’s side since before she hit it big, is reportedly helping the star through some relationship ups and downs. The singer recently told media she was over men and that the only person she’d be kissing was Kitty Purry. Inspired by her love for Isaboo, Rachael Ray recently launched a gourmet food line for animals called Nutrish. As the fresh-faced spokesdog, Isaboo has been getting a lot of airtime, showing off her svelte figure on Rachael Ray’s pet-dedicated cooking segments. Hilary is an animal lover, owning several dogs, a cat and a rabbit. But one of her most pampered pets is Seuss, a South African gray parrot. 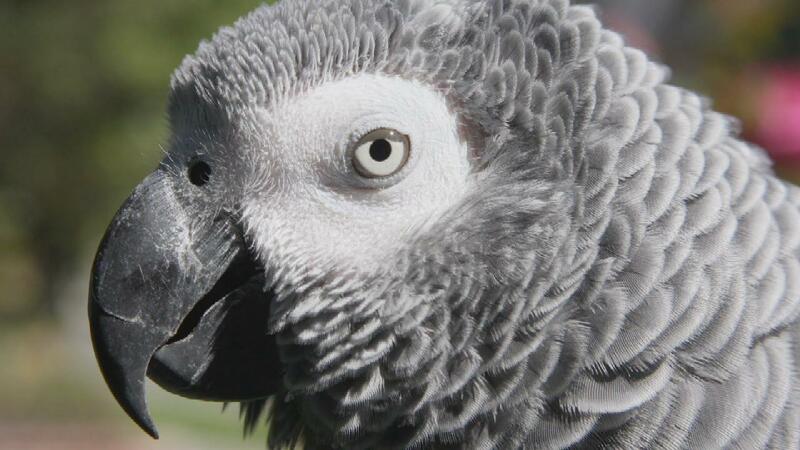 According to Swank, the cheeky parrot is a non-stop talker who constantly lets her human know what’s on her mind. When Seuss was brought home, Swank crafted a special cage for the parrot to live in, complete with customized lighting. 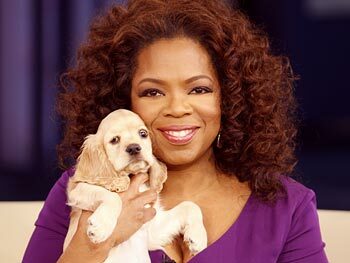 After showing herself off to millions on Oprah, Sadie has begun to settle into her new life as Oprah’s favorite pup. Although the dog went through an adjustment period — she had a virus that, sadly, claimed the life of her brother, and now she has to deal with house-training — we’re sure Sadie will start to love her position as one of the world’s most powerful pooches.